Under Construction. A quaint covered porch greets you at this home's entrance, and once inside, you'll find generous flex space to use as you see fit. Imagine a charming reading nook or a robust library here. You can even create a fresh take on the old-fashioned parlor. As you continue through the entry, the second bedroom sits on your right, but you have options for personalizing this bedroom and flex space, including converting the flex space into a third bedroom. On the left is a full bath that serves the second bedroom and is convenient for guests as well. Just beyond that, a formal dining area awaits with easy flow to the kitchen on the left and the family room straight ahead. This seamless connectivity makes family gatherings easy and ensures that everyone stays involved, be it catching up on the day while dinner is being prepared, or relaxing after dinner with popcorn and a movie. 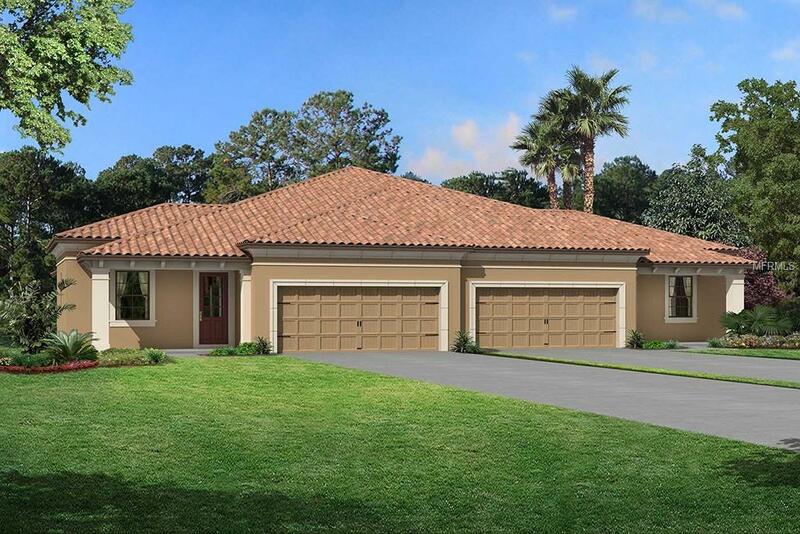 The kitchen features a walk-in pantry and convenient access to the utility room and garage, whereas the family room opens to the covered lanai for outdoor enjoyment. To the left and back of the family room is the master suite that also looks out to the backyard. And then there's your personal retreat, the master bath, complete with a dual vanity, a large walk-in shower, a private commode area, and a grand walk-in closet. Come visit to see this great floor plan design for yourself. Call today to schedule a tour!